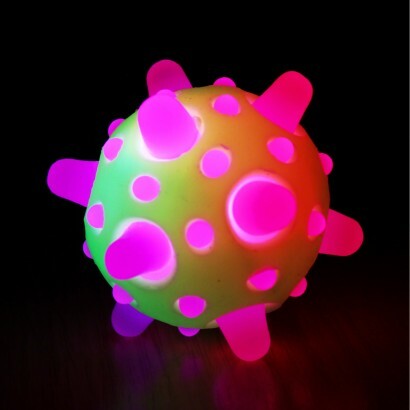 Bounce the Blinking Boggleball and red and blue LEDs inside are activated to give a colourful light show! 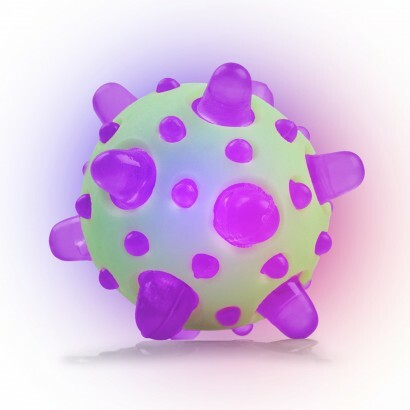 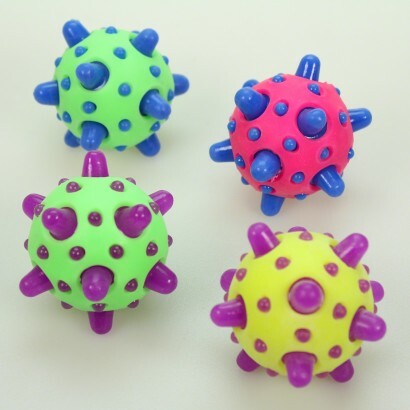 The surface of the Boggleball is covered with various small and larger sized squidgy spikes making it highly tactile and giving a non uniform bounce making this bouncy ball as unpredictable as it is fun! 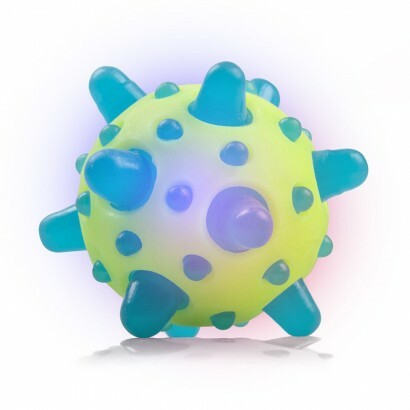 The bright colours and the the rubber surface of the ball make the Boggleball ideal for sensory use encouraging touch and visual stimulation, but more importantly, it's oodles of fun!